An Italian auction house has announced the sale of an important iconographic composition painted by the great Flemish artist. Rediscovered works are increasingly rare, and when these masterpieces finally appear at auction after years of private ownership, there is always great anticipation. This is precisely the case of for the work at the Genoese auction house, Cambi, which announced the sale of the Rubens painted during the artist’s brief stay in Italy. The Flemish painter arrived in Rome at the beginning of the 17th century: despite being only 24 years old, his artistic talent was so remarkable that the Duke of Mantua, Vincenzo Gonzaga, wanted him in the Eternal City. During his time in Rome, the young artist began to give shape to a totally original iconographic style envisioned in The Holy Family with Saint Elisabetta, San Giovannino and a dove, an oil panel dated to 1602-1606. Since the mid-18th century, this composition has been known thanks to a carryover print. 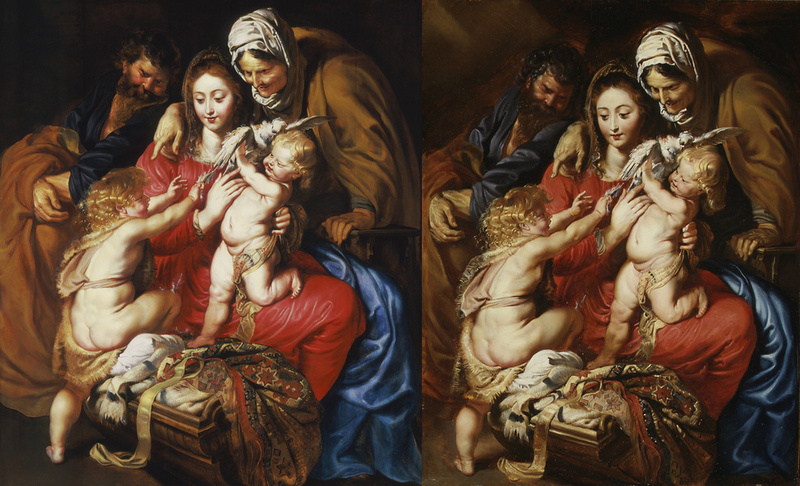 The versions are attributed to Rubens, and are related to other paintings of the Italian period of the painter, including the Holy Family work seen today at Palazzo Pitti. To date, there are three works by Rubens with this original iconography: the New York version, dated 1602-1605 and kept at the Metropolitan Museum of Art, the Los Angeles one, dated 1609 and exhibited at LACMA, and finally the present Roman one, which is to be sold at auction by Cambi. The latter was bought in Rome in 1910, and since then it has always been part of a private collection: first in the USA, then in Italy. The painting, which has not been on the market for 80 years, was attributed to Rubens by two valuers in 1946, the same year the artist was part of an exhibition in Detroit. Remaining unknown to scholars because of the rarity of the catalogue, it was first mentioned only in 1985 in a publication by D. Bodard, who, like the evaluators who preceded him, considered it an original. Careful research carried out in 2001 highlighted the history of this Holy Family and noted it as having been restored in a non-invasive manner in the post-war period and in 1997. But it is only this year that the painting has undergone a complete restoration and a more thorough cleaning, which has brought to light many previously unknown details. This version at Cambi demonstrates more vivid colors than ever before, demonstrating the influence of the Italian period in Rubens’ work. 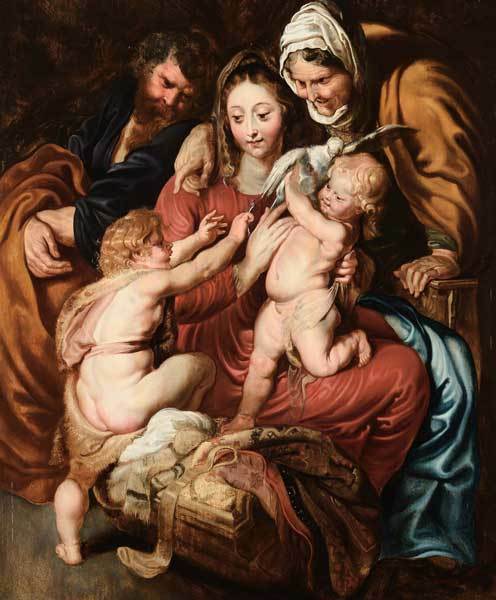 Holy Family by Peter Paul Rubens will be exhibited, together with all the lots of Cambi’s Fine Arts catalogue, from December 7-10 at MacKenzie Castle. The auction will be held Thursday, December 13.